Hey kids, what time is it? It’s time for the annual start-of-the-year museum deals in San Diego, Los Angeles and Sacramento, three of California’s top museum destinations. Sacramento and Los Angeles offer free admission to participating museums, while San Diego features half price admission for an entire month at its participating venues. LOS ANGELES: LA Museum Weekend February 2-3, 2019 has expanded to two days this year. Museum participants offer free admission on either Saturday, Sunday or both days. Here are a few museums to see: Autry Museum of the American West, Columbia Memorial Space Center, Descanso Gardens, Japanese American National Museum, La Brea Tar Pits and Museum, Bowers Museum, Palm Springs Art Museum and many, many more throughout Southern California. 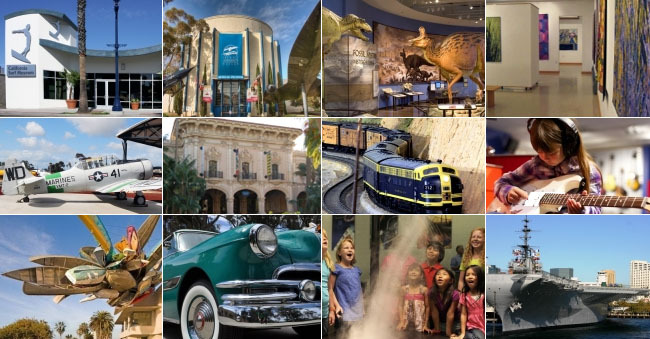 SAN DIEGO: San Diego Museum Month February 1-28, 2019 offers half price admission to museums focused on air & space, making music, model railroads and more than eight art museums — just to name a few! Museum Month participants include: Birch Aquarium at Scripps, California Surf Museum, San Diego Botanic Garden, Flying Leatherneck Aviation Museum, Mingei International Museum, Children’s Discovery Museum and San Diego Natural History Museum. SACRAMENTO: Sacramento Museum Day February 2, 2019 features approx. 24 museums this year ranging from automotive to medical equipment, pharmacy, history and electricity, plus many more subjects to explore. Museums include Sacramento Children’s Museum, State Indian Museum and one of our favorites — California State Railroad Museum. LOS ANGELES: Museums of the Arroyo often takes place in May. 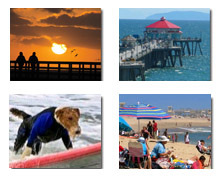 CALIFORNIA: Smithsonian Museum Day is usually held in September.